Udemy is a well known online learning platform and it is a hub of various professionals and learners that belong to different fields of knowledge. 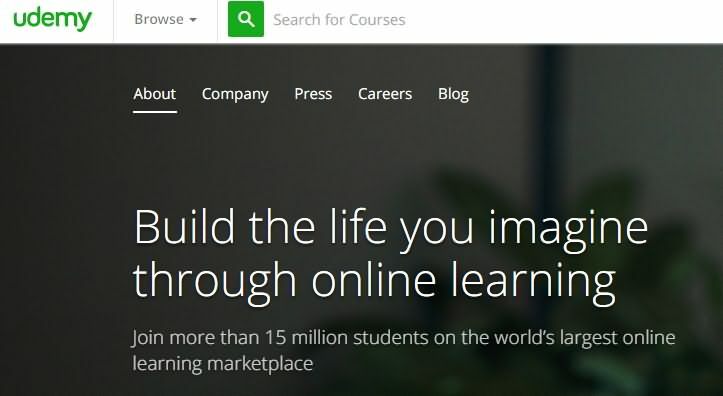 Same as traditional collegiate course works, the Udemy experts use to launch their courses on different subjects time to time and learners can join classes from any corner of world. Some of these courses are available for free whereas for few you may have to make some payments. The course content in udemy is generally presented in three different forms: Articles, Videos and Mashup tutorials. In case if you wish to prepare videos then you have to follow few specific guidelines to meet Udemy Video standards. The article below provides complete description about major requirements of Udemy Video Lectures. Prescribed length for video lectures is between 2 to 20 minutes only. Videos must be generated with HD resolution (that means 720p minimum is necessary). To have better results you must follow clear lighting arrangements, proper framing, steady slides of camera, well managed screen casts as well as other audio visual elements that will be required at different instants. About 60% of these course lectures must be in video format. In all your videos, the lecture subject as well as instructor must be visible on screen. The audio signals must be filters properly and they should not include unwanted noise variations like Fuzziness, background hum, Pops on T and P sounds etc. You have to manage audio over both channels and it must be in proper synchronism with video content. Make some efforts to cut out the ‘ahhs’ and ‘umms’ from your audio content, just try to stay tuned to desired points. Develop a habit to pronounce all words very clearly and try to emphasise on all important points. Prefer to follow an enthusiastic tone in your lecture. Never forget to include talking head introductions in your video tutorials. Experts suggest using at least 20% talking head video in your lectures when you are discussing non technical stuff. All the technical courses are desired to be recorded with special screen casting software tools. In order to boost your student conversations prefer to publish promo videos. All the transitions during your lectures must be standardized as well as clean. All course videos must be exported in 16:9 format. The text included in course material must be visible clearly so use big font size. How to Create a Udemy Course in 11 Steps?